Apply best practices for automating system administration with Windows PowerShell 3.0 and optimize your operational efficiency and results. This guide captures the field-tested tips, real-world lessons, and candid advice of practitioners across the range of business and technical scenarios and across the scripting life cycle. Ed Wilson, MCSE, CISSP, is a well-known scripting expert and author of "Hey Scripting Guy! ", one of the most popular blogs on Microsoft TechNet. 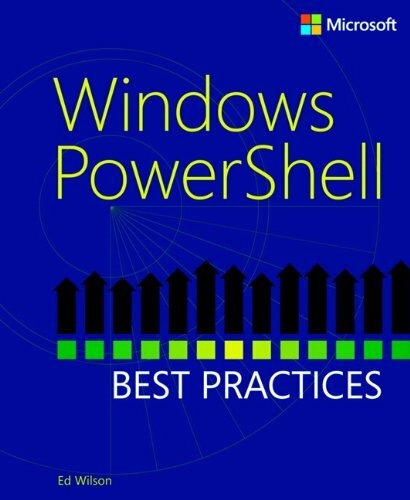 Ed has written six books on Microsoft Windows scripting for Microsoft Press, including three Windows PowerShell titles: Windows PowerShell 2.0 Best Practices, Windows PowerShell Scripting Guide, and Microsoft Windows PowerShell Step by Step. He has delivered a popular Windows PowerShell workshop to Microsoft Premier customers worldwide, and has spoken at the Microsoft TechEd and TechReady conferences. Before coming to work for Microsoft, Ed was a senior consultant for a Microsoft Gold Certified Partner where he specialized in Active Directory design and Exchange Server implementation.